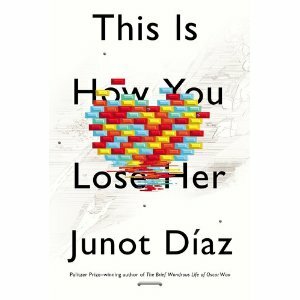 Junot Díaz’s collection of short stories, This Is How You Lose Her (Riverhead), is absolutely brilliant – and just a tad annoying. Most of the stories feature Yunior – a character in Díaz’s first book, Drown – who, like Díaz, was born in the Dominican Republic, immigrated to New Jersey as a child and teaches creative writing in the Boston area. All of these stories are told in Díaz’s unique voice that seems to be speaking to you like you’re his best friend. The voice is tormented, cynical and, to the reader, entertaining to read. While it’s a great line, that sentence also represents the book’s one flaw. Many of the women are portrayed as lying sluts. Yunior is not a saint himself, but I’d wish the women were more multidimensional, such as in “Miss Lora”, in which Yunior has an affair with an older woman, or in “Otra Vida, Otra Vez,” about an immigrant who works in a laundry room and waits for her family to call every Sunday. But then, in the last story in the book, “The Cheater’s Guide to Love,” Yunior begins to grow up after his girlfriend catches him cheating on her and dumps him. You feel for Yunior because Díaz captures the pain of a broken heart so well – it’s slow, it’s hard, and it’s painful. It’s the perfect ending to a great book. 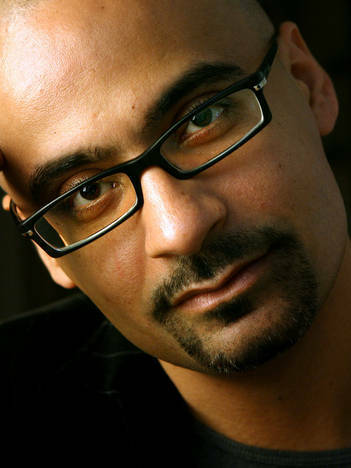 Díaz is the author of the 1997 short story collection Drown and the 2008 novel The Brief Wondrous Life of Oscar Wao, which won the Pulitzer Prize for Fiction. I have “…Wao” but I’m looking forward to getting this and the other book I missed, “Drown”. Great review. I’m looking forward to catching him during his book tour.